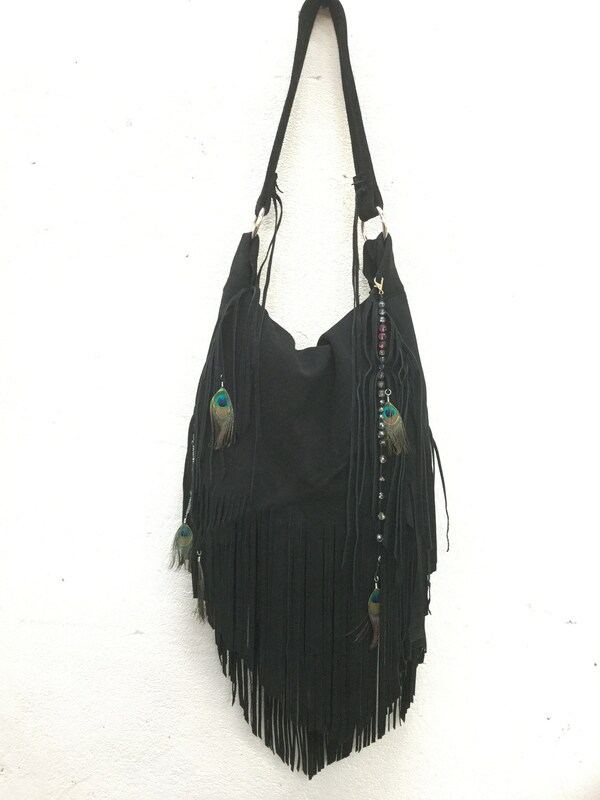 This is a large roomie bag for all of the random things that ladies love to carry around with them. 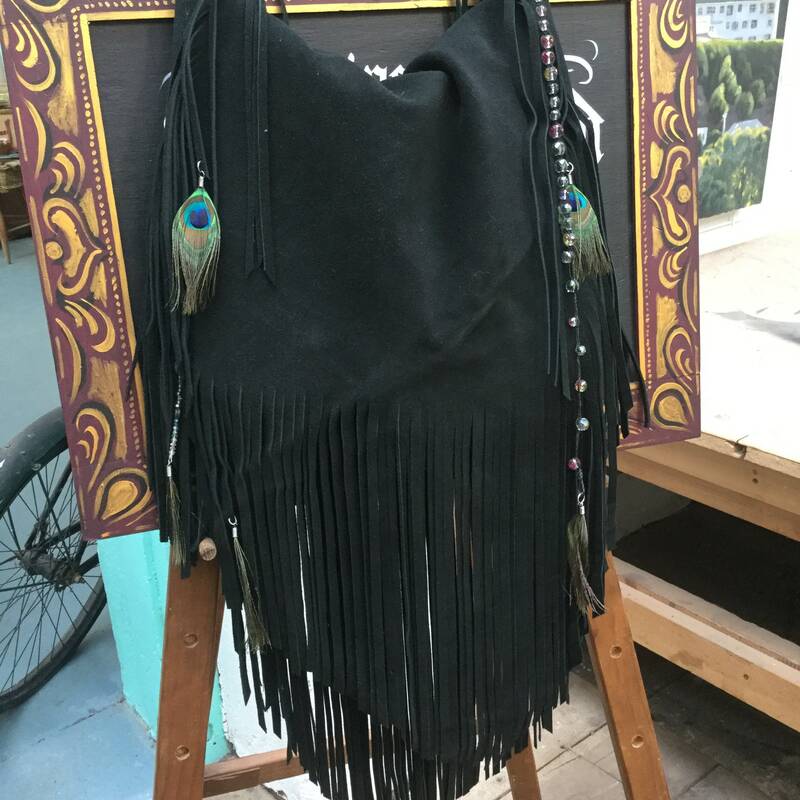 Made from 100% soft genuine New Zealand Cowhide suede leather. 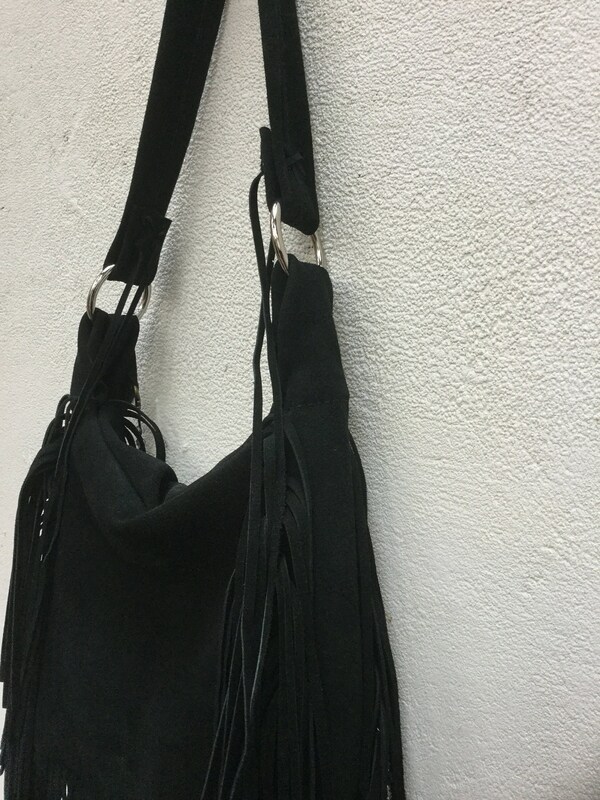 One genuine leather suede strap. 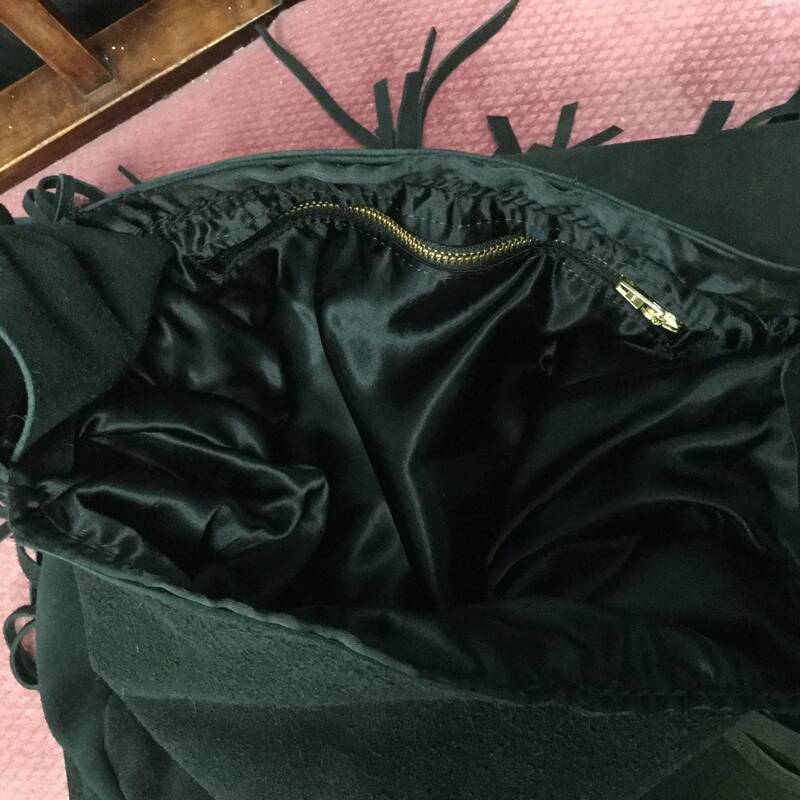 Lined with black silk with one zipped pocket on the inside. 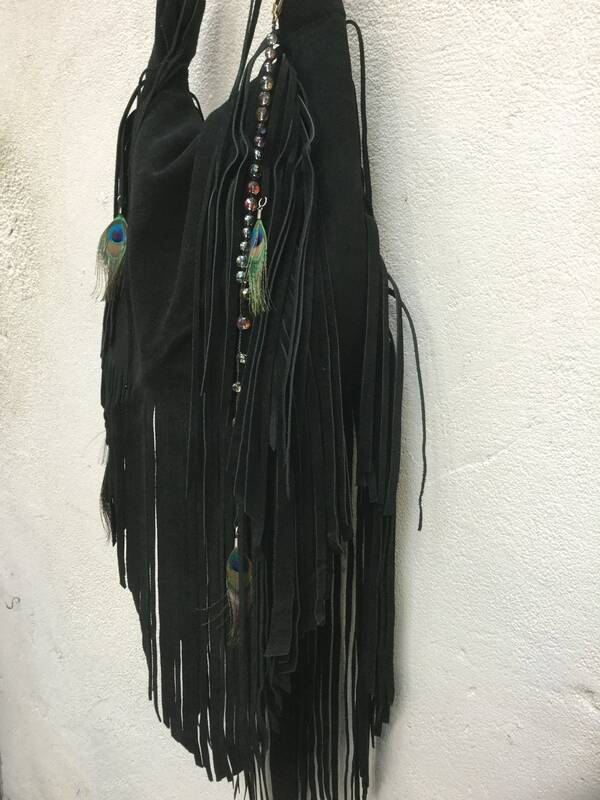 Leather suede Fringe with stunning natural colourful peacock feathers and beads. 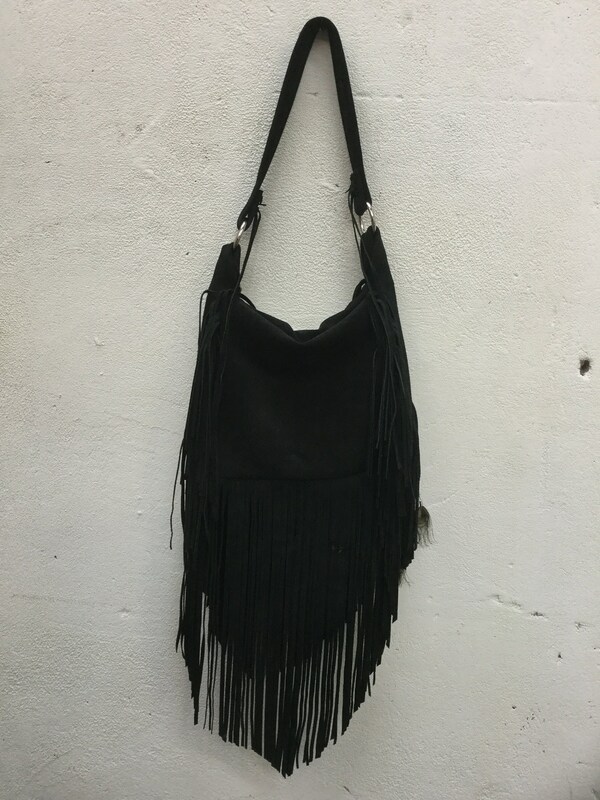 I’ve been on the hunt for a decent fringe bag for over a year now. None seemed to be to correct size and shape until I found this one! 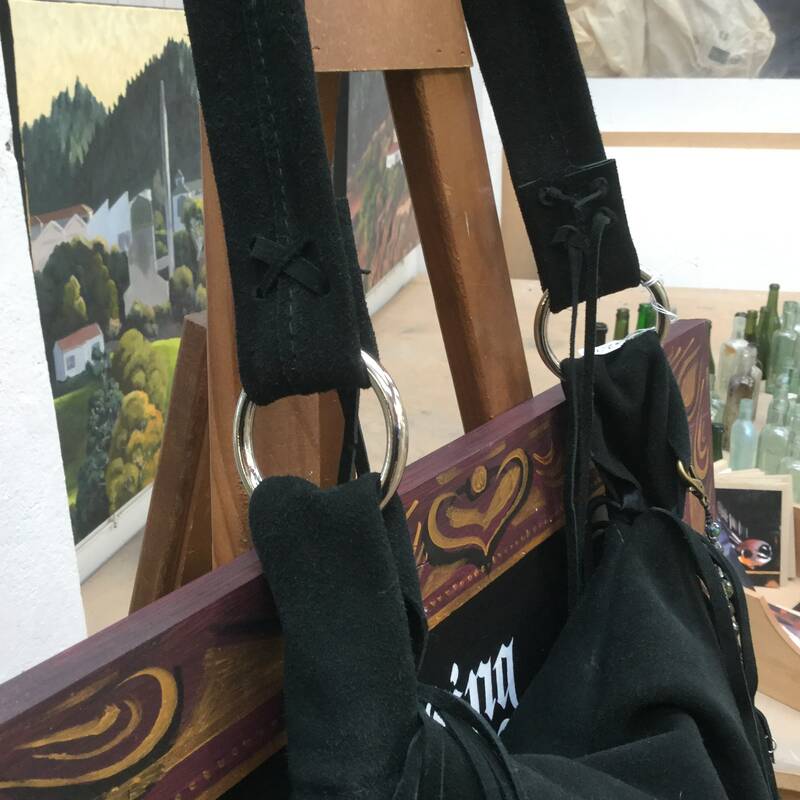 The craftsmanship is exceptional and is truly a one of a kind bag. Communication was excellent and for coming on the other side of the planet shipping was pretty quick. I highly recommend!